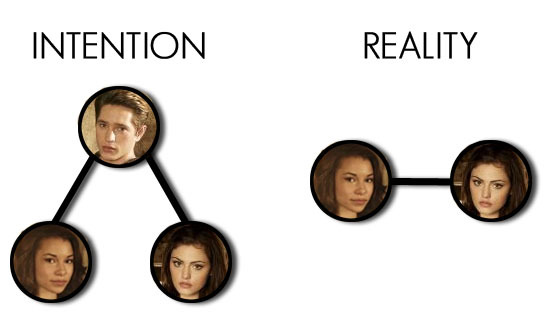 So we’re three episodes into The Secret Circle and there is one storyline that has me very intrigued. From the way things have been going I’m being led to believe that they are setting Faye & Melissa up as a couple, & I’m believing it alright! I mean, it seems incredibly blatant that they are either already a couple or are soon going to be. But then sometimes I feel like that can’t actually be happening. Like Rizzoli & Isles, where it’s so apparant & you forget that it’s not part of the story. But then when you stop to think, you are aware that in the end it’s not going to turn out like we all expect. So, really, I’d just like to know. Are Faye & Melissa the next Circle Couple? Let’s go to the evidence! 1. 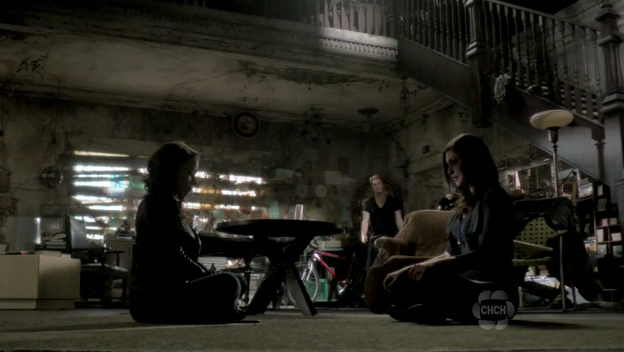 The first time we see either Faye or Melissa they are together. Aw cute! Melissa: What are you doing? Next up is hands down my favorite scene so far in the series. 7. Ring toss. Or as it is now know, Flirty Ring Toss. 8. Nick & Faye are taking hits off a potion & being stupid. Melissa looks annoyed….and jealous. 9. At a party, Melissa watches Nick & Faye dancing. She looks absolutely miserable. 10. When Nick starts getting a little handsy, Faye says, “It’s not going to happen. Do you honestly think I would get with you?” Faye promptly walks over to Melissa. 11. Faye hands Melissa her solo cup. Melissa takes it without looking or question. Melissa asks Nick to the school dance, which for now, we will disregard. 13. Faye & Melissa are doing “magic” together again. This time moving a phone across the floor. 15. 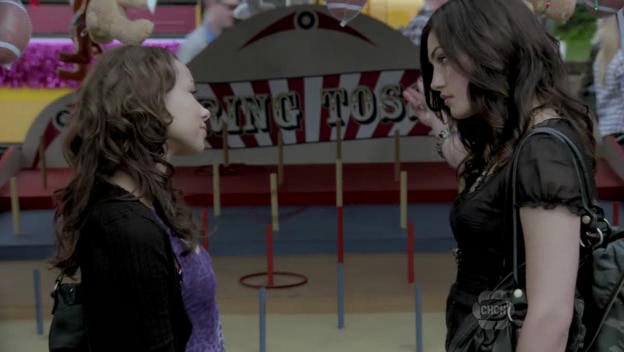 Faye & Melissa argue about going to the school dance & whether or not it is lame. 16. Melissa tries to get Faye to come! Ah hah! Asking Nick was all a ruse! Faye: Did you come here for Nick? Faye: Hey did something happen? 20. Nick & Melissa happily walk away together from the school. Faye looks on, proud of whipping Nick into shape. She smiles, then the smiles faulters! So yes, they may be setting up a Melissa-Nick-Faye love triangle. But I prefer to think Nick is not a variable is this equation. Faye & Melissa as a couple seems like the way they should go/already are going! Here’s a little diagram of what they are possibly trying to, but what is being conveyed. Now excuse me while I go watch some ring toss. Also, I love that the solo cup hand-off is in here as evidence. Because it so is. Faye’s face in the lab partners screencap is so great. And after seeing them two broken off from the rest of the cast like this, I really just wish that these two were a subplot of TVD, and the rest of the secret circle didn’t exist. Bonnie needs some witch friends, right!?! wait, so, most importantly what’s the name of the ship? Melaye? Felissa?